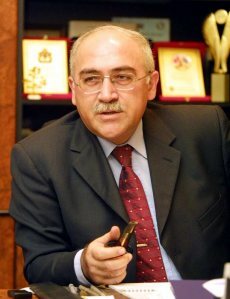 Musavat and Popular Front, two major political parties leading the Public Chamber, a loose coalition of radical opposition to the Aliyev government, in a surprise move, joined the ruling New Azerbaijan Party and “pocket opposition” on September 14 to protest the European Parliament resolution on the Ramil Safarov case. A day earlier, the European Parliament passed a resolution deploring the pardoning of Ramil Safarov who killed an Armenian officer in Hungary in 2004. The resolution considered this action "a gesture which could contribute to further escalation of the tensions" between Azerbaijan and Armenia. In return, representatives of eleven Azerbaijani political parties gathered in the office of YAP - the ruling party to a meeting chaired by its Executive Secretary held under the portrait of late President Heydar Aliyev and adopted a statement condemning the European Parliament’s resolution and accusing the institution in double standards and playing to tune of the Armenian lobby. The resolution adopted in regard to the extradition of Azerbaijani officer Ramil Safarov and his pardoning by the President - is completely biased and serves the interests of Armenia and Armenian lobby. The statement cited judicial arguments in favor of Safarov's pardoning and also described in detail a possible setting for the infamous Budapest crime - Ramil Safarov’s childhood trauma, loss of his close relatives in the Nagorno-Karabakh conflict, as well as provocations from Gurgen Margaryan and Safarov’s being in an affect situation. It also alleged interference to the Budapest court from the Armenian lobby and as a result of this interference, a harsh and anti-humanist verdict. And as a justification for Safarov affair, the statement went further to cite the court decision on Anders Breivik case and Europe’s explicit silence in the face of apparent heroization of ASALA terrorists in Armenia – like Monte Melkonian, Vazgen Sislian and Varoujan Garabedian. We, the undersigned political parties, regardless of our political orientation express the anxiety and sensibility of Azerbaijani public in this issue and unambiguously protest this resolution of the European Parliemant and consider it to be an embodiment of bias and another demonstration of double standards. The news was a major surprise and disappointment for many independent activists who thought the opposition betrayed the very principles they had been struggling for. The opposition parties who signed the statement were accused of whitewashing government's faults and justifying and supporting its anti-democratic, anti-European agenda. There were a lot of accusations and emotions all over Facebook, where opinions varied from one extreme to another.